Michael Craft is a Christian, a husband, a daddy, a ‘papa’, a buddy, a lover of the marginalized, a counselor, and a teacher. He has been a pastor since 1989, and is ordained with Calvary Chapel. 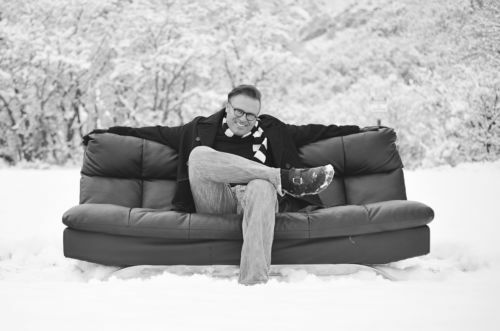 He has been the Senior Pastor at The Alpine Chapel in Telluride, Colorado since April of 2018. Michael has a sincere passion for God, a passion for people, and a passion for creating a platform to bring the two together. Michael grew up as a pastor’s kid and spent his boyhood moving quite a bit. He met his wife, Kelli, in a college study group, where he fell madly in love. They married in August of 1990. Michael earned his undergraduate degree in pastoral studies/theology by attending schools in Southern California and Central Oregon. 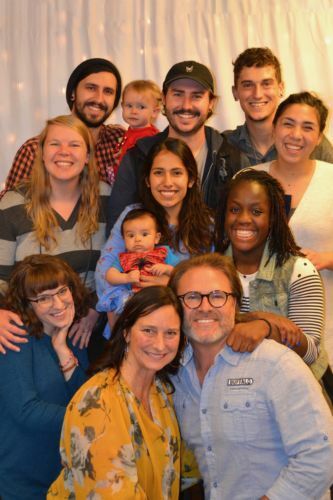 He was a crazy youth pastor for eight years and then took the Lead Pastor position of a small (27 people their first Sunday) church just outside of Kansas City, Missouri, (where many would say he became a crazy Lead Pastor). Michael continued his education, working towards his Master’s degree, at a Messianic Jewish Institute in Kansas City where he learned to love, read and teach the Bible in new and transformative ways. The church he pastored grew to an average of 900-1,000 persons a weekend and began making a loud noise for the cause of Christ in the small suburb. He and his wife were at this church from July 1995 until August of 2013. Michael was bi-vocational for the first few years of his ministry, and did everything from cleaning carpets to building houses. 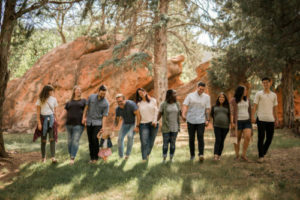 As the church grew, and he was honored to be full time, Michael felt his passions for people and helping them come to walk in genuine relationship with God and others come alive. These years were a highlight. Michael’s wife then became very sick, and after a brain-surgery, multiple trips out of state to specialist doctors, and a rough season of on-and-off hospital stays, Michael needed to resign his position and move his family to a different climate for his wife’s benefit and on doctor’s orders. Michael and Kelli moved to Colorado Springs, Colorado in August of 2013, where Michael served on the staff of Calvary Worship Center for 4 years, as an Equipping Pastor; Overseeing missions, children’s ministries, youth, young adults, a satellite campus, benevolence, and the counseling department. Michael and Kelli have three sons (Conor, Kolten, and Caleb), two daughters (Michaela-Rayn and Merci), three daughters-in-law (Amy, Diana, and Jocelyn), one granddaughter (Lovely Joy), and two grandsons (Ki Truth and Honor Sunrise). Michael and Kelli’s oldest son, Conor, is a full-time youth pastor at Calvary Worship Center. Their second son, Kolten, is an incredible Christian and website-designer (check out some of his work here: Steck Insights Web Design). And their third son, Caleb, is on staff and in full-time ministry at Rev 5 with his awesome wife Jocelyn. Michael and Kelli’s oldest daughter, Michaela, is also in the ministry and works at The Navigators full time, while also being a student at Pike’s Peak Community College, and their youngest daughter, Merci, is in the 9th grade and loves to laugh and be awesome! Michael’s wife, Kelli, underwent another brain surgery on December 11th, 2017 and is recovering well. She works for a ministry in the Colorado Springs area (Christian Camp and Conference Association). Kelli is, and has always been, heavily involved in all aspects of her husband’s ministry. While all of this is factually true, it somehow misses describing an actual person. Michael loves to give hugs, ride his Harley Davidson motorcycle, go to the gym, watch old movies, scream during NFL football, be with friends, ski, listen to classic rock, grill outdoors, scarf sushi, ride mountain bikes, hang out with each member of his incredible family, and much more. He has some Scripture tattoos, a ssssslight ssssslur, and uses the expressions “dude” and “awesome” way too much. Also… he is a “7” or a “4” on the Enneagram Test (depends on what mood he’s in when taking the test). In reality, all that there is to know about Michael Craft is that he is a simple, slightly strange, man who authentically and passionately loves Jesus, the Word of God, his beautiful wife, his awesome kids… and you.